see around us in nature came to be seen as 'monuments', pregnant with historical meaning, like archaeological relics. With his talent for encapsulating pre-modern mindsets, Rudwick deftly explains how ideas of natural history were embedded in cultural history. He concentrates on thinking in the late eighteenth century, not only in Anglophone countries but, crucially, also in mainland Europe — especially France. 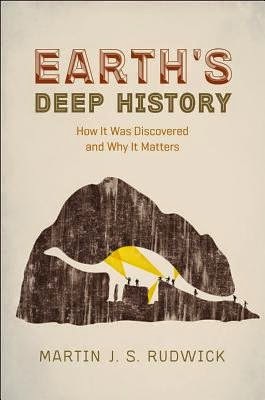 The book's premise, which has been used before by Rudwick and others (including the late evolutionary biologist Stephen Jay Gould), is that humanity's discovery of Earth's immense age is a step in science's progressive removal of humans from the centre of things. First our planet was relegated to mere third rock from the Sun; then humans were transformed from the pinnacle of God's creation into twigs on an evolutionary bush. Beginning with Irish Archbishop James Ussher's 1650 publication of a chronology suggesting that the world began on 23 October 4004 BC, Rudwick shows how, by the eighteenth century, Western culture had long accepted that Earth had been around for millennia. Ussher was not alone: Isaac Newton played the same game, suggesting a date of 3988 BC. Rudwick is at pains to emphasize that Ussher was a serious chronologist who did not deserve his post-Darwinian ridicule. What these chronologies show is that humanity was at that time assumed by all to have been part of the Universe from its inception. Rudwick goes on to reveal how natural philosophers such as Jean-André Deluc and Johann Jakob Scheuchzer in Switzerland arrived at a truer picture. In attempting to reconcile scriptural and other textual evidence with that slowly emerging from nature's monuments, they came to realize that Earth had had a long prehistoric existence for which there was no documentary evidence. Yet far from being stifled by what had gone before, they were profoundly aided by the work of traditional, historical and antiquarian scholars working in the Judaeo-Christian tradition. The image of emergent science heroically struggling against obscurantist religion is a fiction conjured by post-Darwinian revisionism and militant atheists, Rudwick insists. New Astronomy Podcast in Urdu: "Hamari Kainaat"
Saturday Video: Short film "The Cosmonaut"
Alan Turing and "The Imitation Game"
Saturday Video: "A Truncated Story of Infinity"